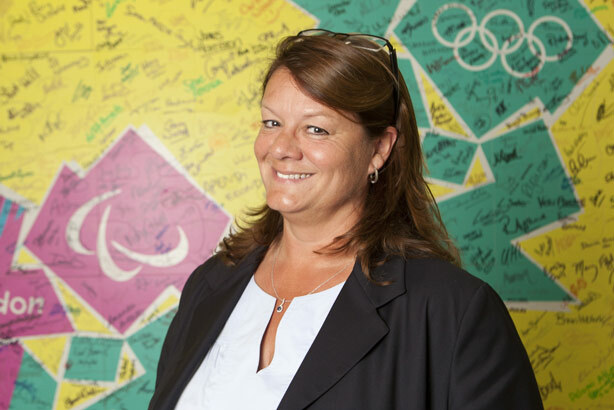 Jackie Brock-Doyle "walked into Glasgow 2014 office knowing everything"
The challenge of the eleventh-hour arrival of Jackie Brock-Doyle to lead comms for Glasgow 2014 was eased by "years of planning", one of the Commonwealth Games' key PR figures has revealed. Brock-Doyle had to be parachuted in after Gordon Arthur, who had been director of comms for Glasgow 2014 since 2008, had to step back from the role for personal reasons with only weeks to go before the Games started. Glasgow City Council comms head Colin Edgar praised the Good Relations Group chief executive, who not only led communications for the London 2012 Olympic Games but also handled the Manchester 2002 Commonwealth Games when she was again called at the last minute. "She understood the Games so well from the outset, and walked into the office knowing everything she needed to," he revealed. The council is working closely with the Scottish Government, the Commonwealth Games Federation and Commonwealth Games Scotland to put on the Games. Brock-Doyle came on board when Edgar's own team had switched to working shifts between 6am and midnight in anticipation of the event. "When she (Brock-Doyle) arrived everything was beginning to change in terms of the teams involved shifting into their Games-focused roles," said Edgar. "When someone key becomes unavailable obviously that’s not going to be easy but what we’ve been doing for the past six years is planning for the Games and making sure the organisers are ready for the Games. That meant it was nothing like as difficult as it could have been." Edgar spoke to PRWeek in the wake of a widely praised opening ceremony, which featured everything from teacakes to the Loch Ness Monster, and a subsequent clutch of medals for the host nation. In the run-up to the event, the council launched Get Ready Glasgow, a campaign informing residents how to deal with the day-to-day impact of the event, and brought in "around a dozen" extra comms staff to deal with the workload. "It was crucial to find a balance between keeping the city moving and keeping it open for business," said Edgar. "We would have been rightly lynched if we’d just told people to stay out of the city." Having played a role in the cultural campaign around the Games, he revealed that the ceremony did not set out to compete with the "scale and spectacle" of London 2012’s curtain-raiser. "We wanted to say this is a city that has many amazing things about it but doesn’t take itself too seriously, knows how to have fun and isn’t po-faced." The positive reception to the Games had made it easier to get the council's message out in the media, he added. "The success has opened up a space and allowed to us to talk in a credible way about the impact on the city in terms of things like jobs, sustainability and transport, as well as the legacy that has already been established." A Glasgow 2014 spokeswoman confirmed that Brock-Doyle, who had not replied to a request for comment, had stepped in due to Arthur having leave the role to deal with "unexpected family health issues."